this wreath is hand arranged and delivered by a professional florist. Standard wreath includes 40 stems. 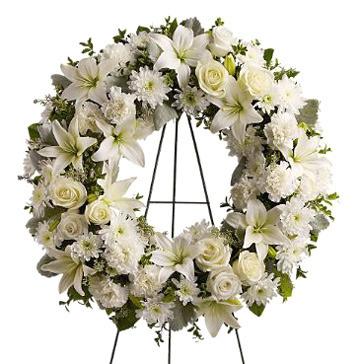 Deluxe wreath includes 45 stems. Premium wreath includes 50 stems.